You are here: Home » News » Great shot, You’ve hit it! 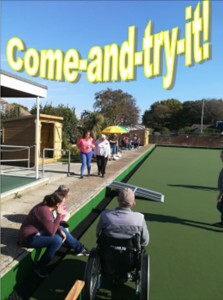 That’s what you would hope to hear at New Romney Bowls Club Open Day. We are planning a great day for those who want to come and try bowling. The target might be a bottle or a garden gnome….who knows! 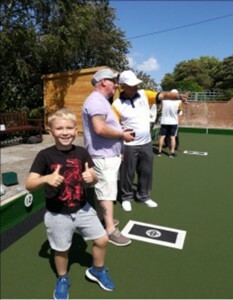 and all visitors are welcome to come and have a taster session on our fantastic all-weather green. All you need is flat soled shoes and we will provide the rest. Even a ‘cuppa’ in the clubhouse! or Chairman Gary Fagg 01797 363371.